One person was declared dead after a house fire in Suitland, Maryland, in Prince George's County on Tuesday morning. Fire officials are still working to determine the cause of the fire. 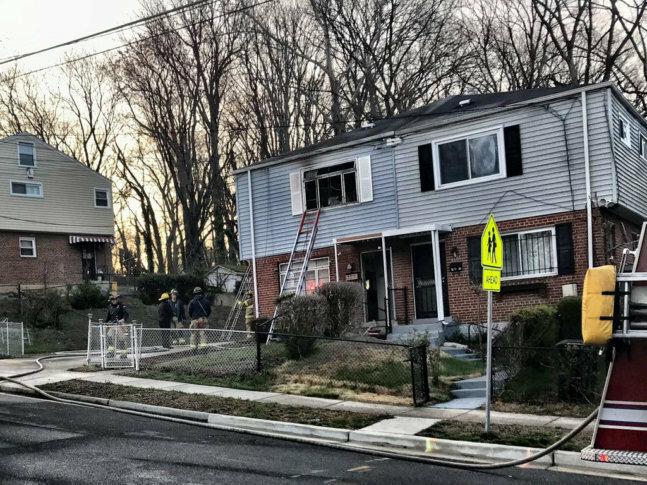 WASHINGTON — One person was found dead after a fire on Tuesday morning in Suitland, Maryland, in Prince George’s County. Mark Brady, the spokesman for the Prince George’s County Fire Department, said firefighters got a call from a neighbor in the duplex home in the 4600 block of Brookfield Drive at around 3:45 a.m. The neighbor said they could smell smoke and hear their neighbor’s smoke alarm. When firefighters arrived on the scene, Brady said they did find a small fire that was quickly put out and upon further investigation found a person dead inside the room of origin. Brady said the victim was an adult male who firefighters believe to be 50-years-old or older. A map of where the fire happened can be seen below.